Professor Xu Zhangrun of Tsinghua University in China was apparently recently suspended for speaking out in criticism of Chinese President Xi Jinping. In an essay entitled “Imminent Fears, Immediate Hopes,” Xu “denounced Mr. Xi’s authoritarian tendencies as driving China back to closed, repressive politics that could prove disastrous for the country,” according to The New York Times. In a previous statement titled “Our Dread Now, and Our Hopes,” Xu stated that “an emergency brake must be applied to the personality cult” surrounding the president. 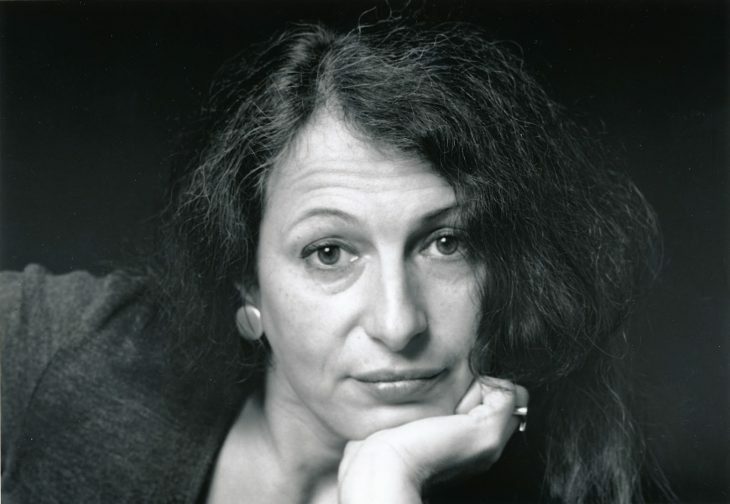 Geremie Barmé, who translated the piece into English, called Xu’s work “a challenge from the intellectual and cultural heart of China, to the political heart of the Communist Party,” according to the Washington Post. That piece was widely published despite censorship attempts, so Mr. Xu continued to publish, The Post said. 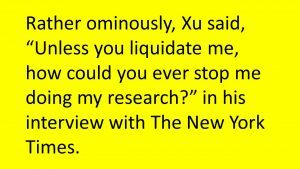 Following the publication of his more recent Imminent Fears piece, which can be seen here, Xu was allegedly ordered by university officials to stop “all teaching and research” and take a pay cut. A university “work team” would also be investigating him and the essays he has been writing. Xu reported that he was questioned for over an hour by the officials, according to The New York Times. At least one professor there, Zhang Jianwei, denied that Xu was suspended and said he could still teach, but Xu says this is incorrect. 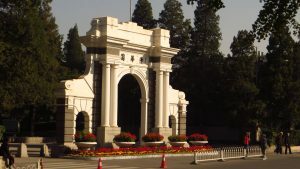 Tsinghua University is one of China’s most internationally renowned universities and hosts many foreign academics. Xi himself studied there, along with other senior party officials, according to The New York Times. CNN said the university has been “consistently rated as one of the world’s best schools.” An old university motto is “a spirit independent, a mind unfettered,” The Times reports. The Times also reports that this censorship follows a drive last year, referred to as “patriotic education,” to make sure universities conform to “party values,” although the drive was apparently short lived at the time. While academics apparently used to enjoy at least some measure of official tolerance, the Communist Party in recent years has made it increasingly difficult for many to teach, publish, or travel abroad. Another prestigious school, Peking University, saw a recent crackdown following a protest by Marxist student leaders working to promote workers’ rights in China, according to CNN. “A number of Peking University student activists have been taken into custody by authorities since August, some of whom haven’t been seen since,” CNN reported. Other official acts have included a takeover of a Chinese history magazine and the shut down of the Unirule Institute of Economics, according to The New York Times. 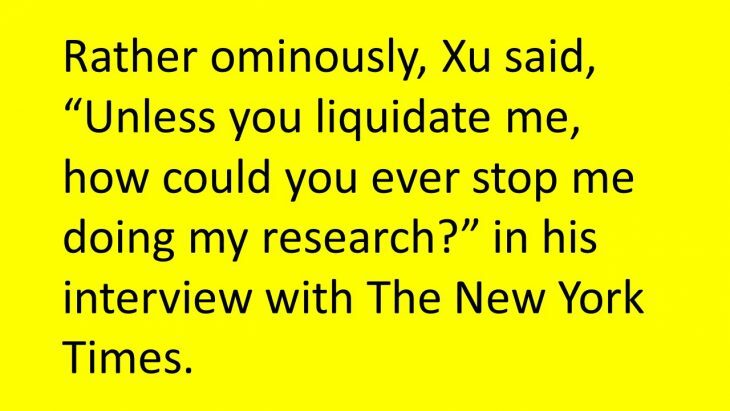 Rather ominously, Xu said, “Unless you liquidate me, how could you ever stop me doing my research?” in his interview with The New York Times. The apparent trend toward suppression of speech in China is concerning, although not new. China is a huge player in the global economy – the EU, the United States and China together accounted for nearly half of world trade in goods, with China taking the largest share at 17 percent of “trade value in goods” in 2016. They accounted for 12 percent of world imports, according to Eurostat. Forbes reported in 2013 that there were 633,000 foreigners with green cards living in China. Statista reports that 3.17 million people visited the United States from China in 2017, with that number projected to rise to 4.1 by 2023. Furthermore, as noted earlier, Tsinghua University itself hosts foreign academics. 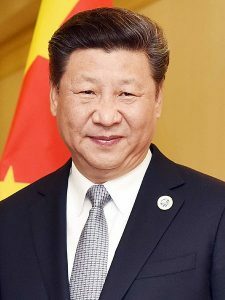 China and the United States are part of a highly interconnected global economy, so the human rights issues in China – including free speech – potentially impact United States citizens. Beyond that, as citizens of the world, any potential threat to free speech should concern us. Blocking free speech can be a warning sign of deeper concerns, as with North Korea, which Reporters without Borders ranks 180th in the world in their 2018 World Press Freedom Index. In North Korea, the limitations on free speech and the right to read include harsh enforcement measures; “North Koreans can still be sent to a concentration camp for viewing, reading or listening to content provided by a media outlet based outside the country,” according to Reporters without Borders. At the same time, they likewise control access of information by the foreign media, preventing the flow of information in both directions. Reporters without Borders reports 6 journalists killed and 167 imprisoned worldwide in 2019 so far. Three of the dead were killed in Afghanistan, which also had “at least” 15 journalists and media workers killed last year. “By sowing terror in some regions, the Taliban and Islamic State militants have created information black holes. In some provinces, the Taliban forced the media to pay arbitrary taxes that were tantamount to ransoms,” they report. “The decline in security has had a direct impact on the number of women working in the media. 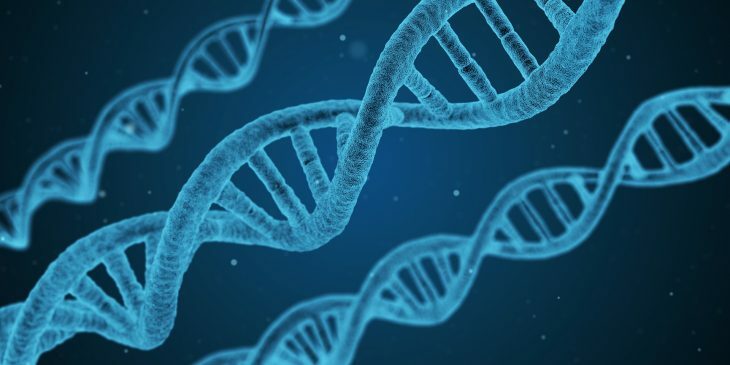 Many of them have been forced to abandon their work because of growing threats and the climate of violence they face,” according to Reporters without Borders. We know suppression of speech can have very serious real world consequences, and China is a significant player on the world stage. We should be paying attention. Especially as academics, we should be concerned that China seems to be cracking down on free speech even at universities, traditionally a bastion of free speech in our own culture. I for one am concerned that this may not be the worst China has in store for proponents of free speech. China Change. (2018) Xu Zhangrun’s China: ‘Licking carbuncles and sucking abscesses.’ China Change. Retrieved from https://chinachange.org/2018/08/01/xu-zhangruns-china-licking-carbuncles-and-sucking-abscesses/ March 29, 2019. Eurostat. The EU, USA and China account for almost half of world trade in goods. Eurostat. Retrieved from https://ec.europa.eu/eurostat/web/products-eurostat-news/-/DDN-20170824-1?inheritRedirect=true April 3, 2019. Rapoza, K. (2013) Slowly, Americans moving to China. Forbes. Retrieved from https://www.forbes.com/sites/kenrapoza/2013/09/15/slowly-americans-moving-to-china/#428d22227e53 April 3, 2019. Reporters without Borders. (2018) World Press Freedom Index. Reporters without Borders. Retrieved from https://rsf.org/en/ranking April 3, 2019. Lisa Hoover is a Public Services Librarian at Clarkson University and an Adjunct Professor in criminal justice at SUNY Canton. In addition to her MLS, Lisa holds a JD and an MA in political science. She began her career as an editor and then manager for a local news organization, adjunct teaching in her “spare time.” She teaches courses in criminal procedure, criminal law and constitutional law. She is passionate about 1st Amendment issues. 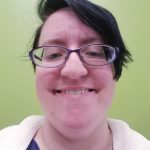 She recently began her career as a librarian, starting at Clarkson University in June 2017 teaching information literacy sessions and offering reference services. Lisa and her husband Lee live in Norwood, New York with their cats Hercules, Pandora and Nyx and pug-mix Alexstrasza (Alex). Find her on Twitter @LisaHoover01. Following the publication of his more recent Imminent Fears piece, Xu was allegedly ordered by university officials to stop “all teaching and research” and take a pay cut. A university “work team” would also be investigating him and the essays he has been writing. 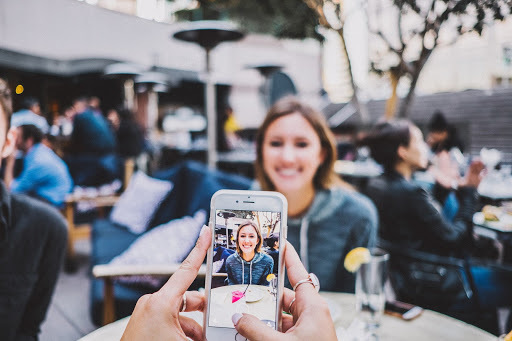 Therefore, the erosion of any free speech case, particularly those involving the press or speech on educational campuses, raises concerns for the library profession. 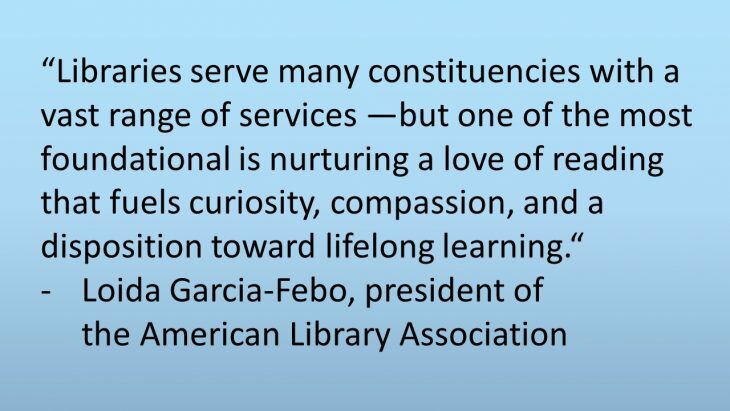 Free expression, free access, and resisting censorship are core principles of the library profession and the Library Bill of Rights. The adult services staff received a package in the mail presented as if it were an ILL. 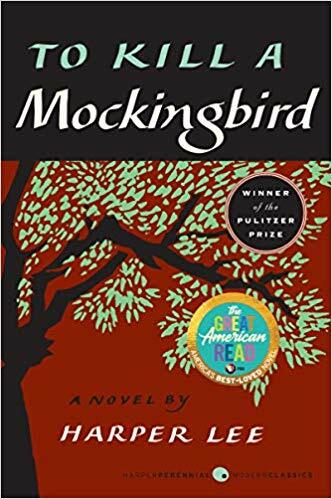 Upon opening it, Jamie Dacyczyn found a paperback book, cataloged in the Teen Comics section, wrapped in white bandage tape with the words “filthy” and “not suited for children” and “18+” written on the tape. 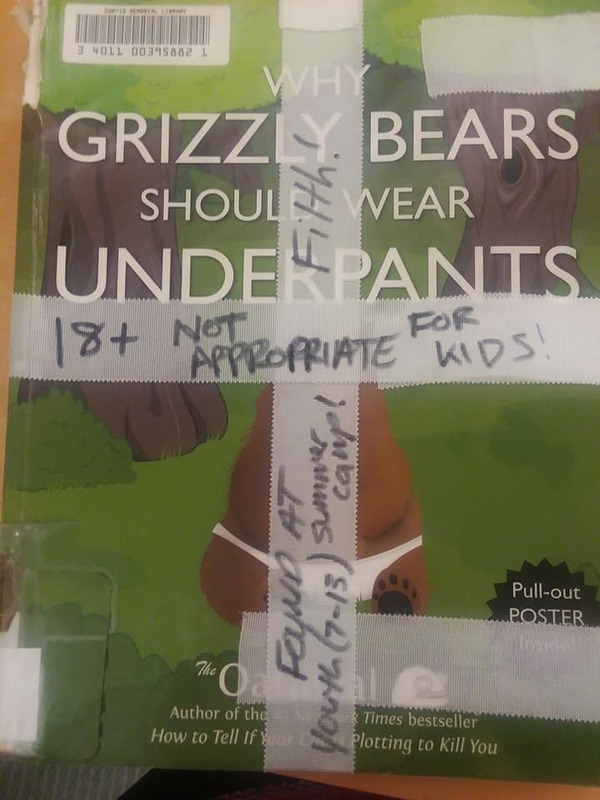 It also came with a 4”x 6” lined unsigned post-it note explaining how this books was found at a camp for children and it is totally inappropriate for teens, etc. Where does Kavanaugh stand on privacy, net neutrality, 1st Amendment? 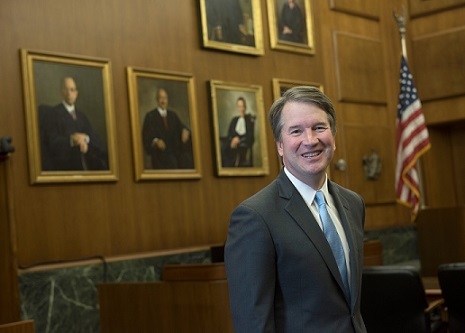 Like a good proportion of the country, I have been doing my best to catch bits and pieces of the Senate hearings regarding the confirmation of Brett Kavanaugh, President Trump’s nominee to the US Supreme Court. 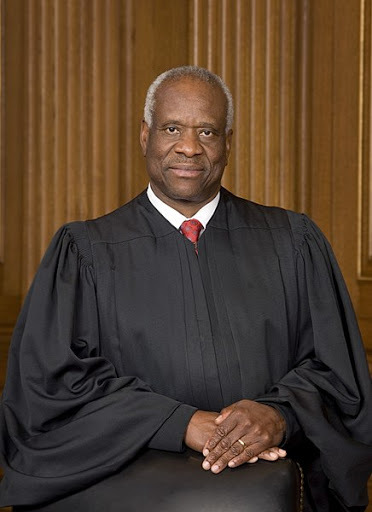 When I sat down to write this blog I wondered, what impact might Kavanaugh’s confirmation have on intellectual freedom issues?